Hi guys and gals, and welcome to another great week of fun and games, it’s a big week for us here so lets get it started with some epic AWESOMENESS! Sometimes disasters get epic in size and even our heroes in blue come under fire. 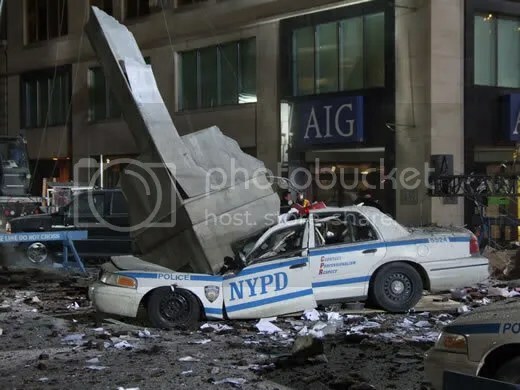 Plus the AIG image in the background could serve as a double dose of economic disaster along side the real danger going on! Based on the image above provide us a funny caption that would explain what has happened. The funnier the better! Previous Previous post: TIME TO PARTY!